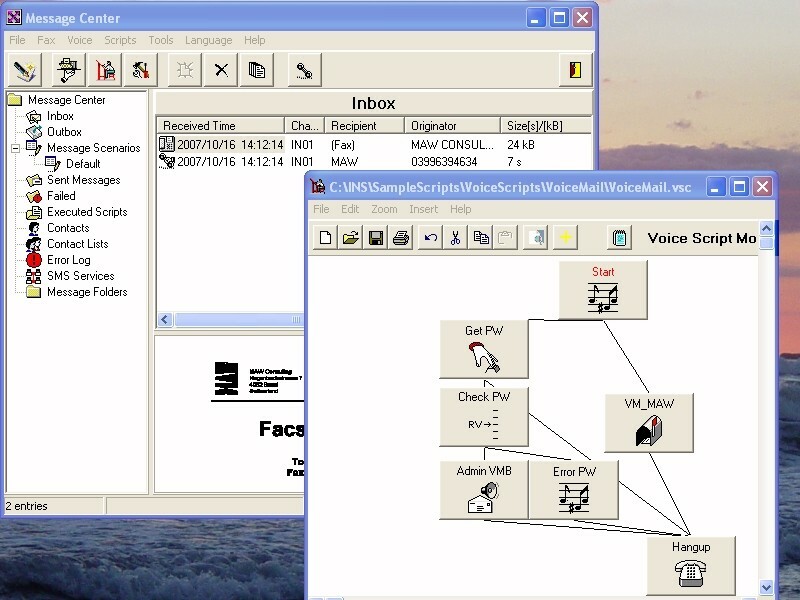 Design Interactive voice response (IVR) scripts to answer incoming calls. The caller can navigate through the interactive voice response (IVR) scripts by pressing digits on the phone keypad ( IE "Please press 1 for a description of our products, 2 for fax-back and 3 to speak to an operator"). Interactive voice response (IVR) scripts like multi-user voice mail boxes, credit card verification or Fax-on-demand are set up within minutes. The system supports an unlimited number of incoming lines.